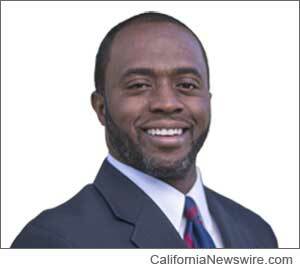 SACRAMENTO, Calif. /California Newswire/ — Today, California Assemblyman Tony Thurmond (D-Richmond) introduced legislation to eliminate the use of all tobacco products – including smokeless tobacco – at all baseball venues in California to protect the health of players and to set an effective example for children. As professional baseball’s spring training gets underway, the legislation will send a simple and powerful message: tobacco has no place near our nation’s kids or our national pastime. Public health advocates and California youth baseball players joined Assemblyman Thurmond at the announcement – held at the Sacramento baseball field two blocks from the State Capitol — and launched their “Knock Tobacco Out of the Park” campaign to promote the legislation. Health authorities have found that smokeless tobacco use is hazardous to health and can lead to nicotine addiction. Smokeless tobacco contains at least 28 known carcinogens and causes oral, pancreatic and esophageal cancer – as well as other serious health problems such as cardiovascular disease, gum disease, tooth decay and mouth lesions. Even as cigarette use continues a steady decline among youth, smokeless tobacco use has remained troublingly steady. According to the Centers for Disease Control and Prevention (CDC), in 2013, 14.7 percent of high school boys (and 8.8 percent of all high school students) reported current use of smokeless tobacco products. Each year, roughly 535,000 kids age 12-17 use smokeless tobacco for the first time. Recent headlines have driven home the seriousness of the problem. Last June, Hall of Famer Tony Gwynn died at age 54 after a long battle with salivary gland cancer, which he attributed to his longtime use of chewing tobacco. Two months later, pitching great Curt Schilling, only 47, announced his treatment for oral cancer that he said was “without a doubt, unquestionably” caused by 30 years of chewing tobacco. The Tobacco-Free Baseball Act will apply to baseball games at all levels, including the major and minor leagues, all interscholastic and intermural play, and organized leagues for youth or adults. It will cover the players, the fans, and anyone in the venue during a baseball game or related activity. Smoking is already prohibited at MLB parks; this legislation would simply expand the ban to include all tobacco. Later today, San Francisco Supervisor Mark Farrell (District 2) will propose a similar ordinance to eliminate the use of all tobacco products – including smokeless tobacco – at all baseball venues within the city of San Francisco. Smokeless tobacco companies spent about $450 million on marketing in 2011 (the most recent year available) — or more than three times the amount they spent in 1998. For years, leading health organizations have called for an end to smokeless tobacco in baseball. A number of groups mounted a major campaign in 2010-2011 that made some significant strides – including securing a ban on players carrying tobacco tins in their uniforms and using smokeless tobacco during TV interviews. But these restrictions did not eliminate smokeless tobacco use at ballparks. The Knock Tobacco Out of the Park campaign is also inviting people across America to visit the website to create their own personalized baseball cards identifying themselves as members of the new “Tobacco-Free All Star Team.” All of the cards shared on social media using the hashtag #TobaccoFreeBaseball will be collected in a real-time gallery on the campaign website and later delivered to MLB and the Players Association. The coalition has also teamed up to kick off the online campaign featuring a revamped website, www.tobaccofreebaseball.org, with social media tools that allow fans and other members of the public to send messages to Major League Baseball and to the players association telling them to get tobacco out of baseball. Baseball fans in California and in San Francisco can use the site to send communications to their elected officials and urge them to support the measures introduced today to make baseball tobacco-free.